Teton Pass is the most well-established backcountry trailhead I have experienced. 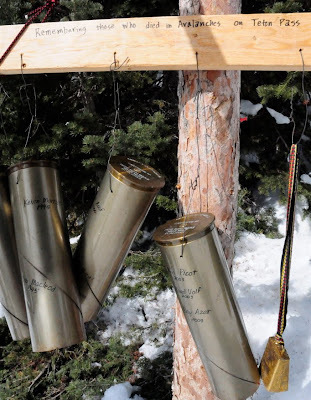 Besides the above reminder of the very real dangers of skiing the pass, there was a full-on Teton Pass Ambassador to keep people informed of the snow conditions, possible danger zones, weather outlook, and to remind everyone to pick up after their dogs. 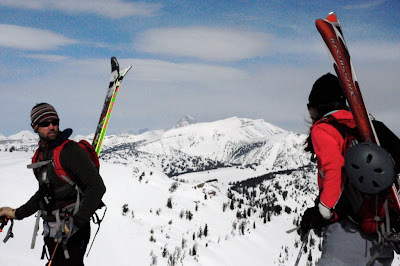 Laura and Tom discussed our next course of action (skiing) while I took in the view of the nearby Grand Teton. We opted to drop down the north side, which had some good stashes of the light and fluffy despite a general lack of snow in recent days. 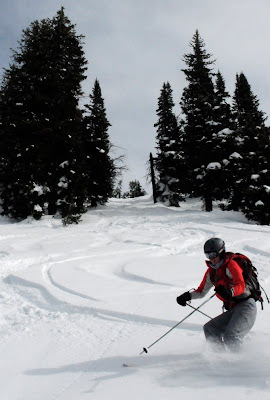 Coal Creek provided some great turns and a fun run-out all the way into Idaho. 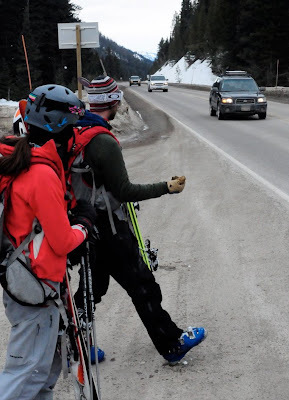 It's always nice to be in a community where you can safely hitchhike back to your car after a solid run down the mountain. Are you surprised that we found ourselves getting a ride in Subaru?